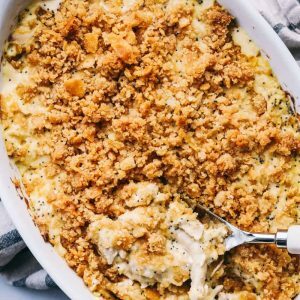 Poppyseed Chicken Casserole is such a classic dish that is incredibly easy to make! 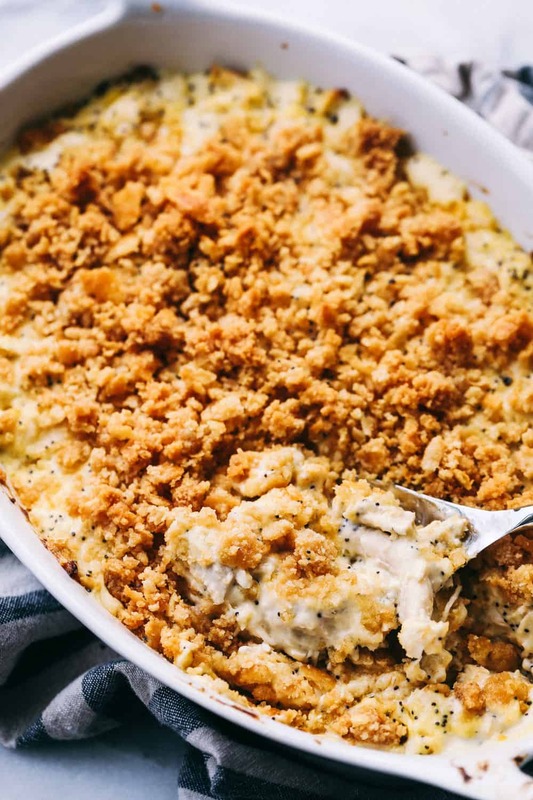 A creamy chicken casserole topped with a buttery ritz topping. This will be the best you ever make! My neighbor brought me this casserole after I had my last baby and oh man, the family DEVOURED it. I know a recipe is good in my book if the entire family eats it and it is picky eater approved. This casserole is so simple, but yet so good and flavorful. Our favorite part of this meal is the buttery ritz crackers on top. This is one of those delicious easy meals. I like how fast it is ready. We served ours over rice with a side of green beans. I know that your family will love this just as much as we did. 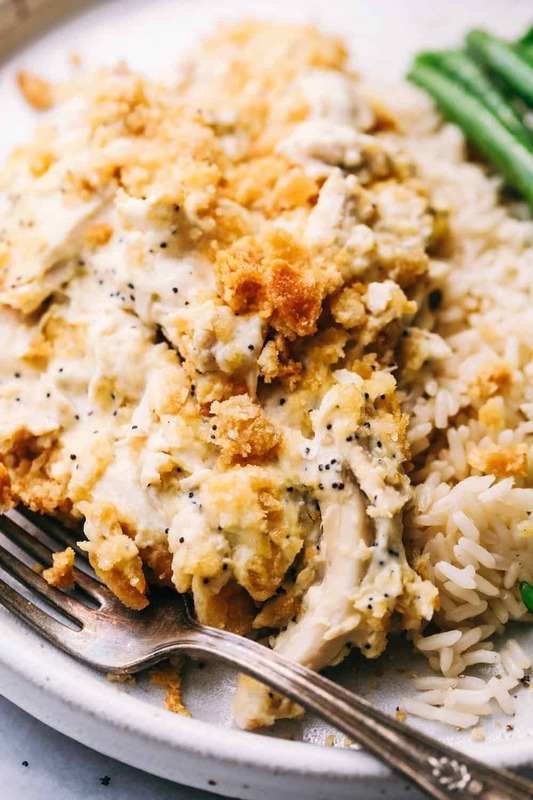 How do you make Poppy Seed Chicken Casserole? In a large bowl, add cooked chicken, sour cream, cream of chicken soup, shredded parmesan cheese, and poppyseeds. Mix until incorporated. Spread along the bottom of a 2 quart casserole or 9×9 inch pan. Crush ritz cracker and add melted butter and toss to coat in the butter. Sprinkle on top of the chicken mixture. Bake for 25-30 minutes or until bubbly. 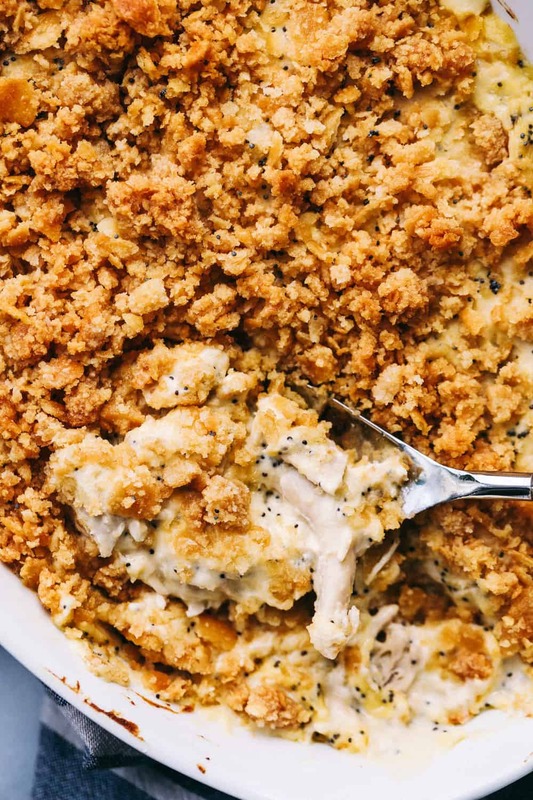 Can I freeze Poppy Seed Chicken Casserole? If freezing, freeze the poppy seed chicken casserole before baking. Cover the pan tightly with foil and write down the directions on top of the container. 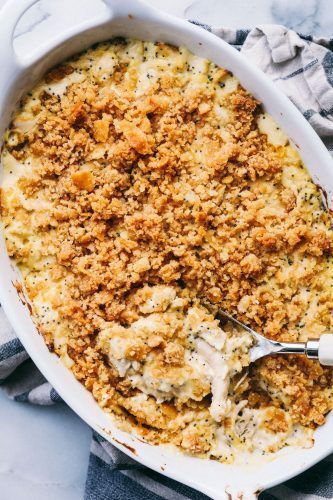 Remove the casserole from the freezer and let it thaw in the refrigerator during the day before baking.